A good night’s sleep is always necessary to recharge our batteries and prepare ourselves for the day to come. However, just because our bodies may spend six to nine hours resting each night, that doesn’t mean that our brains have stopped working for a second. 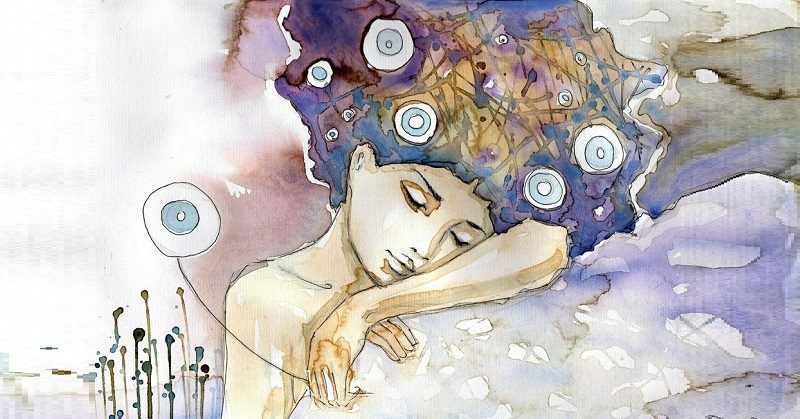 While we sleep, our brains and our subconsciouses are capable of taking us for quite a ride — through our dreams. Symbols are the language of dreams. A symbol can invoke a feeling or an idea and often has a much more profound and deeper meaning than any one word can convey. At the same time, these symbols can leave you confused and wondering what that dream was all about. Acquiring the ability to interpret your dreams is a powerful tool. In analyzing your dreams, you can learn about your deep secrets and hidden feelings. This amazing list of dream symbols can tell you a lot of things which could be very important. The things your subconscious wants you to be aware of. If you dream of a box your mind is telling you about concealment. You are maybe afraid that someone is hiding something from you or you have a secret. If the box is opened this means that you should reveal your secret. If you look inside the box and there is nothing in it, it means that you are disappointed by someone or something. Cats are very powerful symbol. If you dream of a cat it means that you need to get in touch with you feminine side. This dream also wants to tell you that you need to form deeper relationships with woman. The powerful cat symbol is linked with femininity. You need to be more confident and you may need a spiritual awakening. Many people dream that they are falling. This may mean that you are losing control over your life. You may also be afraid of failure or you feel the consequences of some wrong choices you have made in the past. If you often dream that you are falling, then you can fight the anxiety by doing meditation and yoga. Many people dream of their teeth are falling out or shattering right before their eyes. Teeth are a symbol of getting older and sometimes even death. The best way to get over this fear is to try living each day to the fullest and maintain positive thoughts. This dream may also mean that you are more worried about your physical appearance than your health. Dreaming of bugs means that you are irritated by something in your life. This dream means that you need to solve the issue before it becomes a bigger issue. Ants are insects which live in colonies and work together as a team. Maybe you should do the same and try solving your problem with the help of someone else. This dream may also mean that you appreciate the relationships you have with your family and friends. This dream is linked with some physical relationship you have and you need to improve upon. It may also mean that you need to work more on your sexuality. Hair is also a symbol of a desire to connect with other people. You want to be completely sure about the relationships to others- at work and at home. But if you dream about having a long hair, then it means that you are longing to be free. Water means that you want to take more risks. You probably have big dreams and this dream is telling you to go and try to fulfill them. Risks can be scary, but you must try if you want to succeed. Water can also mean that you want a simple and tranquil life. We all wanted to fly when we were children and many people dream that they have the ability to fly. Flying means that you are able to make brave steps in life and take bold risks. Or it means that you feel a lot of pressure- from your partner or at work, and you need to get rid of it. You not only want to fly away from the problem, but you want to fly above it. Try having a positive attitude and be brave, it helps making relaxation easier. If you dream of a road it means that you need to make your life simpler. Focus on the things that are really important in life. If you believe in fate, then this road maybe leading you to somewhere amazing, so don’t hesitate take the chance and go on this journey. The road could lead you to a positive life change. This dream means that you feel you are stuck in mud, as you may feel that you are stuck in your everyday life and choices. Maybe it is time to set yourself free from this prison. Mud symbolizes rebirth and growth as well. Mud also means that you can change everything in your life which makes you unhappy. This means that you are fulfilled and happy with your life. You are also comfortable with the people around you and they feel the same with you. This dream is one we’ve all had at one time or another. It is a symbol of a common fear- the fear of being judged. It is time to stop hiding and allow others to see your vulnerabilities. In coming out of the dark, you can free yourself of these fears and find self acceptance. The main and final goal is self-acceptance and self love. Your mind is telling you that you need to be proud of who you are. So remind yourself of this by standing in front of the mirror and saying “I love you”.